Now more than ever, it is time to plan for the future. There are many reasons why apprentices are good for your business and why the MET has amongst the highest success rates for apprentices in England. Apprentices are motivated individuals that can make a real contribution to your business as valued members of staff from day one. By training an apprentice you can fill any skills gaps with a workforce having direct relevance to your business. The Business Development team at the MET can help you find the right apprentice for your business, across a wide range of industries, and will support you both throughout the apprenticeship with frequent feedback on progress. Apprentices will gain valuable knowledge working alongside your staff for most of the week whilst attending College for one day. College based training is FREE for apprentices aged 16-18, but you will need to pay your apprentice the national minimum apprenticeship wage. This means an apprenticeship is a very cost-effective way of training. Apprenticeship Levy paying employer The cost of training from your digital account and 10% of any amount over this, plus any fees over the funding band maximum. 90% of any fees your digital account will not cover, up to the funding band maximum. 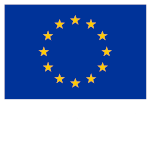 £1,000 for each 16–18 year old apprentice or 19–24 year old with an Education, Health and Care (EHC) plan. Non Apprenticeship Levy paying employer (50+ employees) 10% of any apprenticeship training fees, plus any fees over the funding band maximum. 90% of any apprenticeship training fees, up to the funding band maximum. £1,000 for each 16–18 year old apprentice or 19–24 year old with an EHC plan. Non Apprenticeship Levy paying employer (fewer than 50) 0% of any apprenticeship training fees for 16–18 year olds or 19–24 year old with an Education, Health Care plan. 10% for other apprentices. Additionally, you will pay any fees over the funding band maximum. 100% of any apprenticeship training fees for 16–18 year olds or 19–24 year old with an Education, Health Care plan. 90% for other apprentices, up to the funding band maximum. £1,000 for each 16–18 year old apprentice or 19–24 year old with an EHC plan. Employers of young apprentices are set to save thousands of pounds after the government abolished employer National Insurance contributions for apprentices under 25 years of age. The change, which came into effect on 6 April 2016, will make hiring an apprentice even better value for employers across the country. This exemption will apply to both existing employers with apprentices and those taking on a new apprentice. "We’re making it even better value for businesses to take on a young apprentice. Businesses will no longer need to pay National Insurance contributions for apprentices under 25. Apprenticeships make sense for young people and for business. If you’re an employer not already reaping the benefits, now is the time to act." 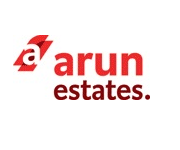 Arun Estates "The investment we make into the individual careers of our accountancy staff is repaid tenfold by the loyalty and work ethic that we receive from the resultant team of professionals. Our strategy to increase the professional knowledge of our staff provides a solid base for any succession planning and apprenticeships with Northbrook MET remain a cost effective mechanism for coping with growth and expansion." 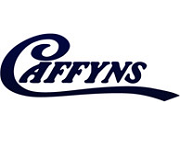 Caffyns PLC "We have found the programmes to be current, relevant and delivered to a high standard. It is an efficient and cost effective solution for training our employees of the future assisting in the Caffyns principle of growing our own talent." 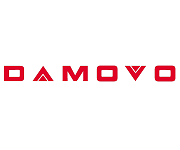 Damovo "There really are opportunities for everyone to develop and gain recognised qualifications, and such a learning culture makes for highly motivated staff and an exciting work environment." 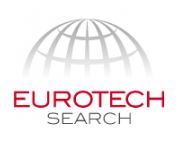 Eurotech Search "Our experience working with Northbrook MET has been exceptional from the outset. Their apprenticeship team went above and beyond to enrol our Finance Assistant onto the Accountancy Apprenticeship at very late notice, just two weeks before the course began. In these two weeks, we were provided with all the information needed to ensure our employee was equipped to begin her studies. This strong communication has continued throughout the year, and we have been kept well informed and updated of our employee’s progress and attendance, without being inundated with unnecessary marketing emails/calls. Our employee's experience of studying at Northbrook has been overwhelmingly positive, and she has been successful in all her examinations to date. She speaks positively of her tutor, and feels part of a community within the group. The skills and knowledge gained by our employee since attending Northbrook MET have had a direct and visible impact on the running of our business. Our Finance Assistant is now confident in completing a wider variety of tasks, has an increased interest in the nature of financial administration and is more driven to undertake additional tasks for her own development. Due to this positive experience, our employee is keen to continue studying at Northbrook next year, despite incurring a one hour commute each way in order to do so. In short, we would highly recommend Northbrook MET to other employers looking to develop the skills and maximise the potential of their staff." 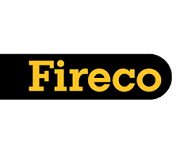 Fireco Ltd "The experience and willingness of all of the staff at Northbrook MET that we came into contact with has made our decision to employ an IT Apprentice one of the best we’ve ever made." 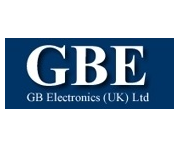 GB Electronics (UK) Ltd "Northbrook is a very professional and approachable college, with very professional teams in their specialised areas. We would wholeheartedly recommend Northbrook and especially the Business Development Centre for any training requirements." 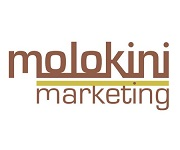 Molokini Marketing Ltd "When it comes to finding and hiring an apprentice, there are lots of organisations that talk a good game and we've tried a few, but Northbrook MET makes it happen. They have supplied us with really great apprentices, some of whom have gone on to join us full-time following the completion of their course. In addition, the team at Northbrook are always very friendly, helpful and professional throughout the entire recruitment process and duration of the apprenticeship. We highly recommend them." 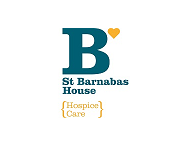 St Barnabas House "The service from Northbrook is very good. I would highly recommend businesses’ to consider taking on apprentices, as the whole process is both uplifting and potentially rewarding." 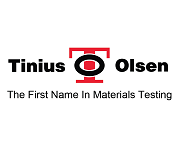 Tinius Olsen Ltd "From the first initial enquiries and enrolment through to the training in the workshop you have been there constantly exceeding our expectations. You have provided such an exceptional level of support and communication that has allowed highly productive levels of achievement in our objectives for development." 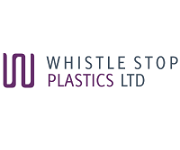 Whistle Stop Plastics Ltd "The talent pool that is out there is amazing and it is a great opportunity to give something back and to receive the reward of training someone in the way your company work."